Byeonsan Beach is a long stretch of white sand located in the West Coast of Byeonsanbando National Park, Buan-gun, Jeolla-bukdo, South Korea. It is believed to be one of the three most famous beaches in the area. 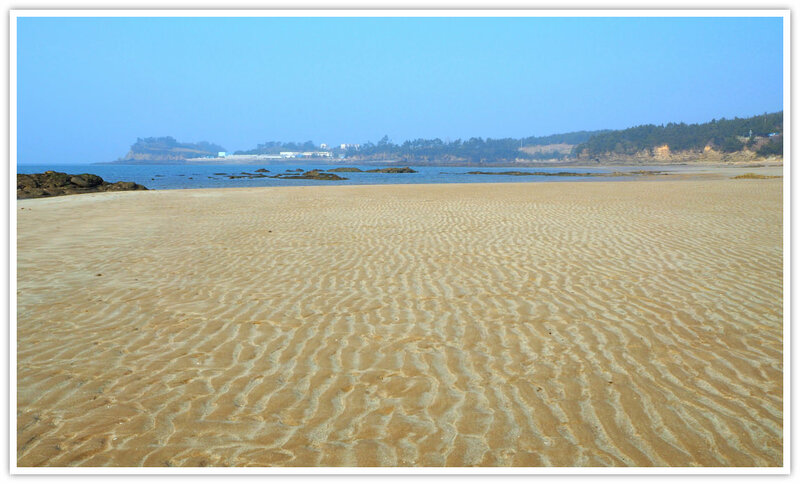 The other two are Daecheon Beach and Manripo Beach on the West Coast. Yes, I can confirm that the beach is long and great for holidays. I visited the place in the midst of January?that’s still winter season in Korea. No trace of a human soul. But it was good to take photos of the beach only: NO beach decorations to beautify it! 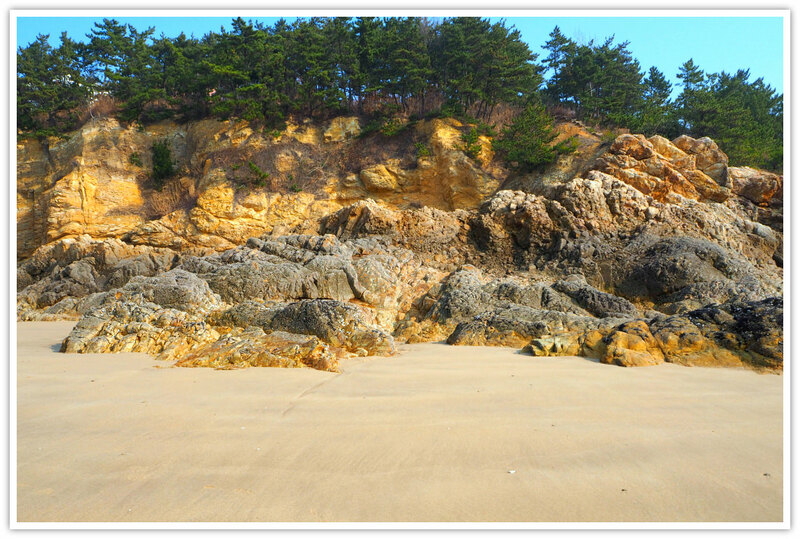 Byeonsan Beach is not really ‘white’ but brownish in color. Of course, it is fine, not rocky or stony but okay for walking barefoot. The beach area becomes fully visible during low tides. The water is not deep near the beach. The fir trees planted offers great views of the beach. Byeonsan Beach is packed with visitors during summer time. They say that over a million people visit the beach per year. The two-kilometer-long stretch of the shore and lined with green fir trees are the attractions of this beach. Although two kilometers is not that far, it could take you about 30 minutes to start from one end to the other end of the sandy shore. During summer, you can imagine that the trees provide cool shades and a breeze. And they protect beach-goers during the winter from the cold wind. ...cool summer breeze, sparking seawater, soft sand, and maybe except for the noise of the crowd! The admission and parking are free. But the parking space could be limited during summer time and season period. Shower rooms, changing rooms, water fountain, and other essential facilities are accessible. Yes, there is a camping area where you can pitch your tent. Again, if you come late, you won’t have many choices due to the huge number of other campers. Another method is to visit the neighboring town or nearby village. For example, you can walk or take a bus to Gyeokpo-ri including the Gyeokpo Port. In that area, you can find many restaurants and shops that sell fruits and vegetables. The food products are fresh from the farms in the area. Of course, you can have fresh seafood at the restaurants. 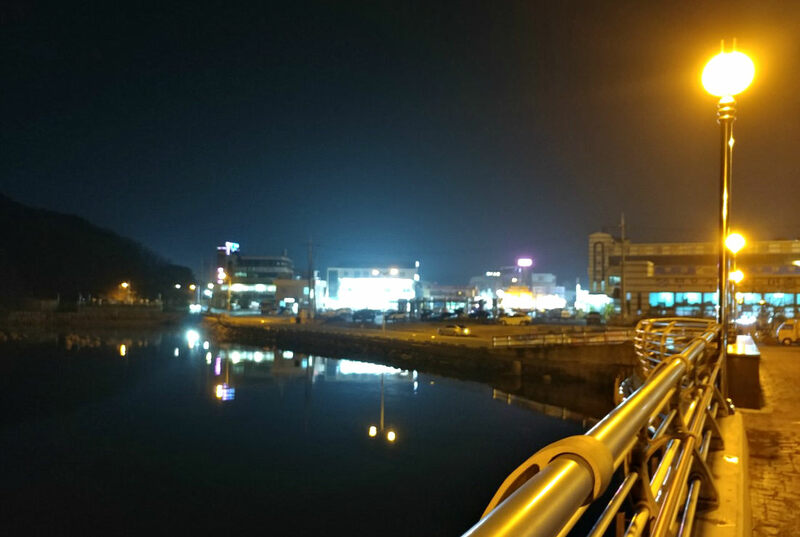 Enjoy your meals at Gyeokpo Port area while observing the beautiful port area and the view of the sea. If you don’t use a tent, you might need to book your hotel room or another form of accommodation near the beach ahead of time. That’s because the number of accommodation facilities is quite limited. A room for a single traveler could be challenging to find. That’s because people usually come in groups, such as friends, co-workers, and families. Therefore, if you plan on staying in a more cozy and ‘safer’ place, better stay in a hotel. Most of the better ones are located in Gyeokpo-ri where the Gyeokpo Port (a fishing village) is located. This terminal is the last stop for the buses the travel from Buan-gun and other routes in Byeonsanbando park area. Yes, you can get a bus from near Byeonsan Beach to this terminal, and return. Byeongsan Beach can is on Byeonsan-ro, Buan-gun, Jeollabuk-do, South Korea. Thanks for visiting this page. Enjoy your beach!